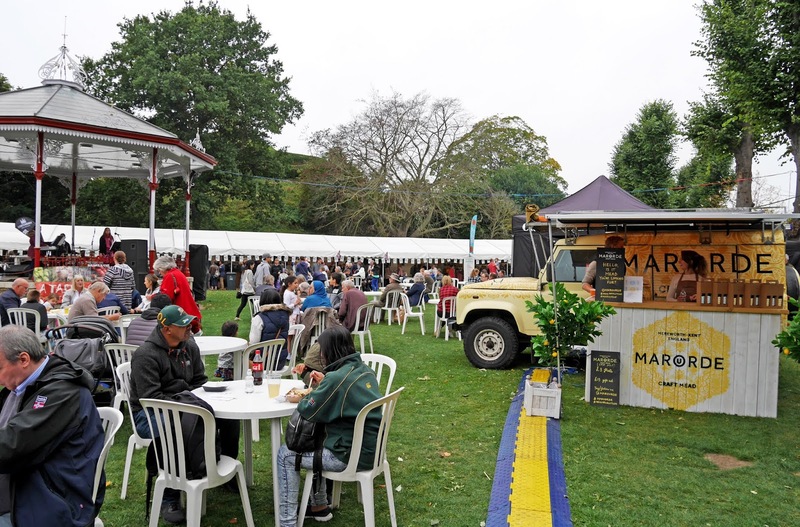 September is a busy month for Canterbury as a new intake of students arrive in the city for the start of the University calendar and the annual Food Festival descends upon the city at the end of the month. Now that I'm over a year out of University the academic year doesn't affect me but I do look forward to the Food Festival which falls on a Friday, Saturday and Sunday at the end of Fresher's Week. I've been going to the Food Festival since 2015 (I wrote a blog post about my experience in 2016), so it's a tradition that started at University, and when I read online that the festival was back from another year, I knew that I wanted to keep the weekend free so that we could head down there for lunch on the Saturday or Sunday. 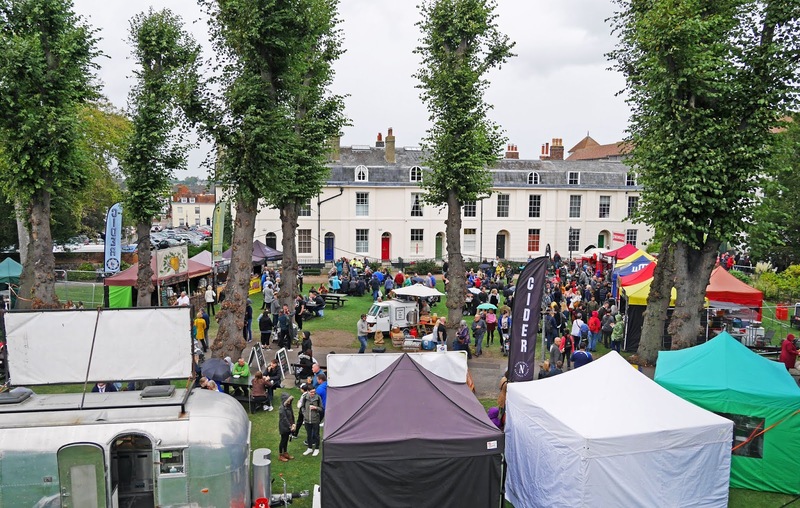 We actually went to the festival yesterday and had a fabulous time despite the rain, so today's post is going to be dedicated to our experience and the food we ended up getting to try. We arrived at Dane John Gardens at half 11 and even at this time, crowds of people were piling into the festival. The layout was pretty much the same as other years, with 4 different areas of stalls and some seating areas between them. There was a bandstand and music area too where local artists were entertaining hungry festival visitors. 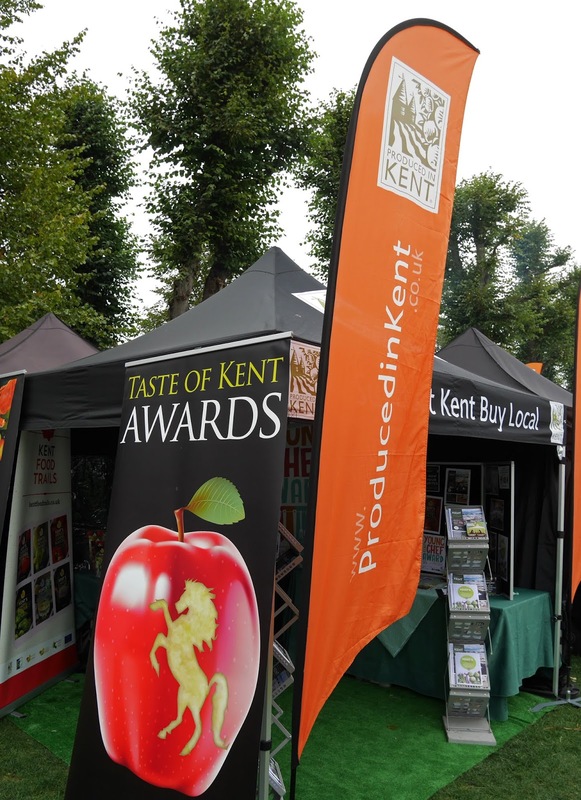 Kent has a lot of food producers with it being the 'garden of England' and Canterbury itself has lots of independent restaurants and cafes who choose to exhibit at the Food Festival, so there were a vast number of stalls to visit. 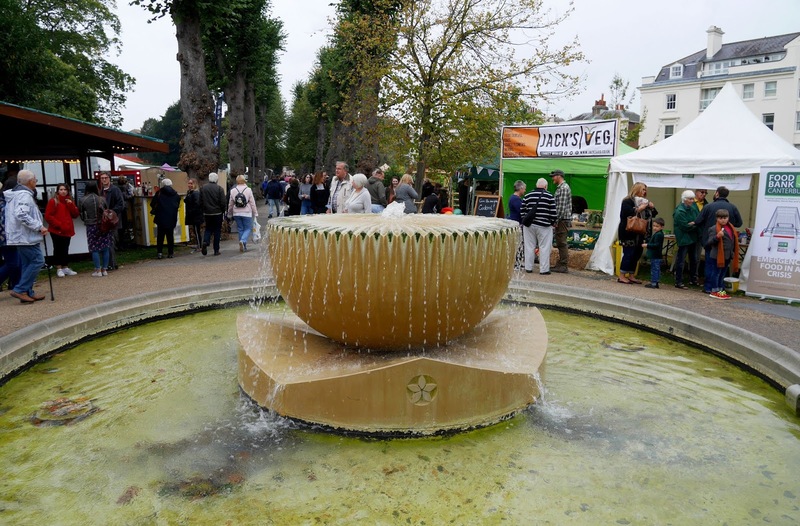 With my camera in tow we did a loop of the festival to see what food and drink was on offer this year. I highly recommend you doing this before purchasing anything as you might miss a stall that takes your fancy, if you purchase some food as soon as you walk through the gates. After we'd had a glance at the whole area, we decided to walk up to the top of the mound in the gardens to see the festival from above. This was Stuart's idea and a very good one too as we got to really appreciate the sheer size of the festival from the top of the mound. It also wasn't raining at this point so it was the perfect opportunity to get some photos. When we were back down inside the festival it was time to choose some lunch options. Stuart had bao buns from The Korean Cowgirl: a restaurant on the King's Mile in the city centre and I opted for rosemary fries from the Moroccan and Lebanese stand. Normally I would go for Mexican or Greek cuisine as both of these are my favourite, but we weren't having our main meal at the festival so I didn't want something too heavy going. 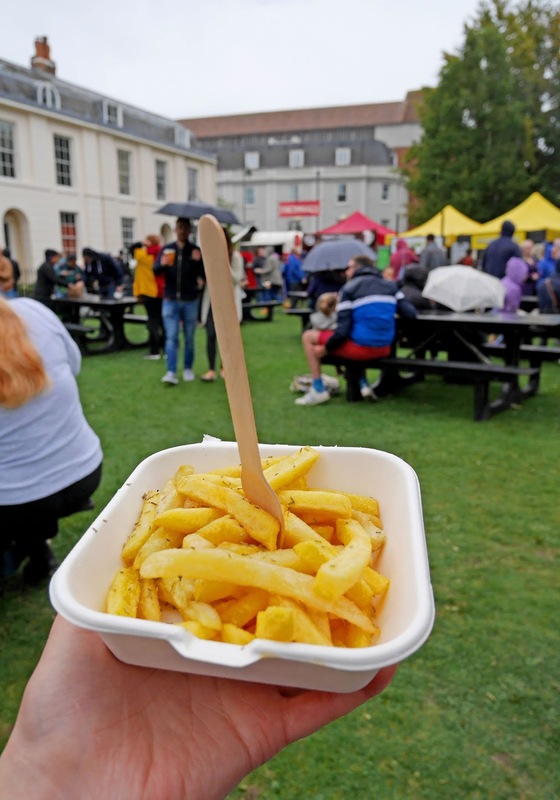 The rosemary fries were delicious though and at only £2, a real bargain at the Food Festival! 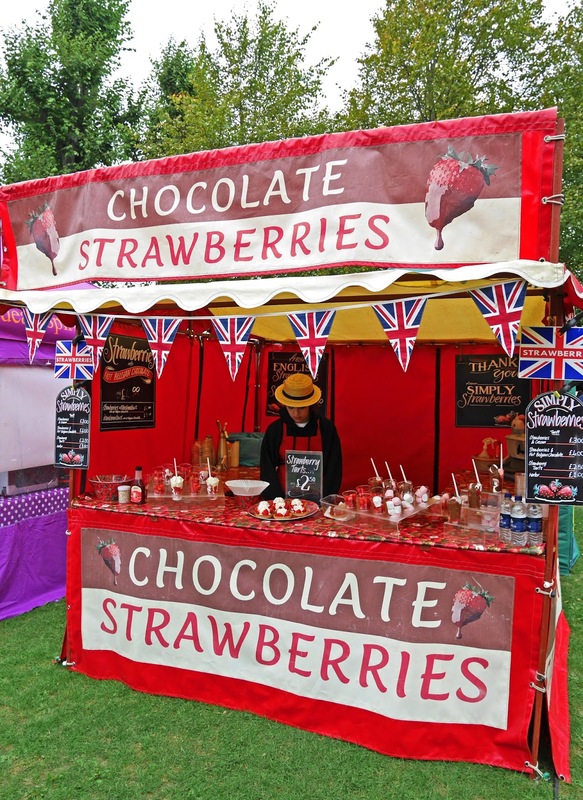 Most food items cost between £6 - £8, which is more expensive than other years, but the Food Festival is a special event to have in the city and if a small price hike ensures that the event comes back year on year, I'd rather that any day. 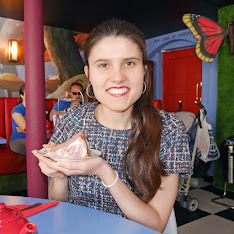 I'm a tea and cake fan so when I saw the bakeries and cake stalls at the festival, I knew that I wanted to take a sweet treat home for later in the weekend. One particular cake company called Gateau Mini sold mermaid and unicorn themed cakes. Their 'rainbow fudge' was so pretty and colourful that I just had to purchase some. After taking it home and trying some, I can now say that it is extremely sweet but very good fudge. 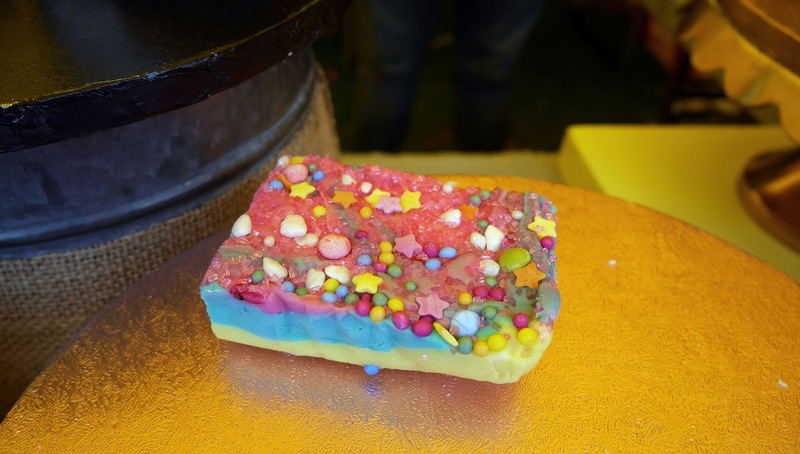 It's novelty foods like these that the Food Festival is so great at showcasing; you wouldn't be able to find rainbow fudge at your everyday high street bakery. After we'd eaten the rain started getting heavier and seeing as we'd spent over an hour there, we decided to head back into town and shelter from the rain. We left the gardens feeling full and content, as once again we'd had a really good time at the festival. 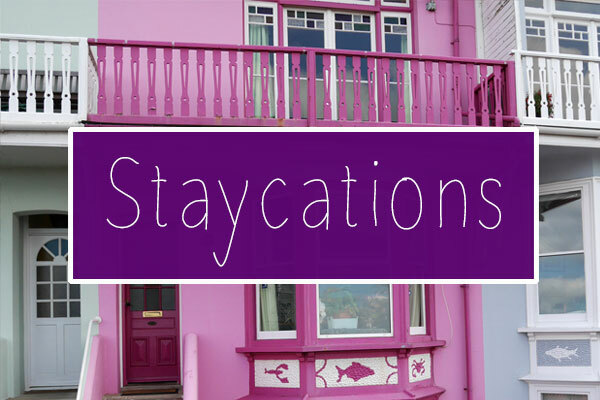 If the festival happens again in September 2019 and you don't live too far from Kent, why not organise a day trip to Canterbury when the festival is on? The food is always delicious and the event atmosphere is fantastic. 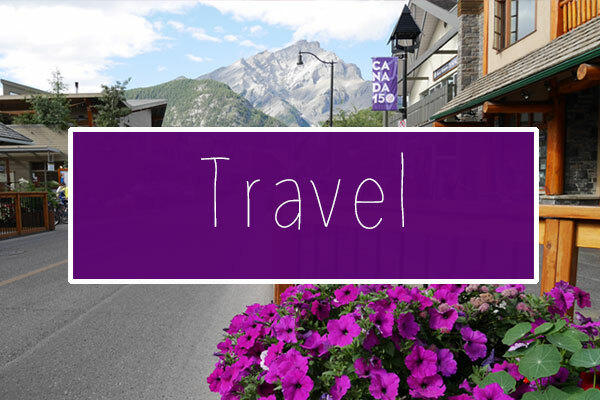 Have you ever been to Canterbury? It's a brilliant city for foodies.